Having dug the allotment plot over, I have left it to dry out for a few days. The weather has been glorious this week and the sun has dried out the soil very well. A little too well in act, as the clods have baked hard in the sun. Not that I am complaining too much. The warm weather has encouraged the plants in my garden to finally start into growth. I spent a long evening trying to break down the clay clods. My historical gardening too shed contains quite an array of suitable weapons. 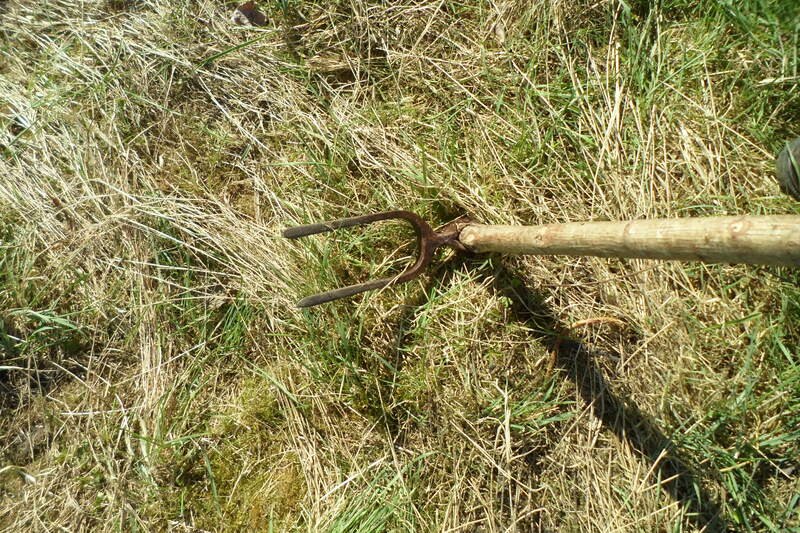 Firstly, a mattock; a tool that has been in use since at least the Roman period. Mine is an old French one. I have no idea how old it is, but the blade edge keeps curling over. It is past its best, but is a handsome brute that I cannot bear not to use it. 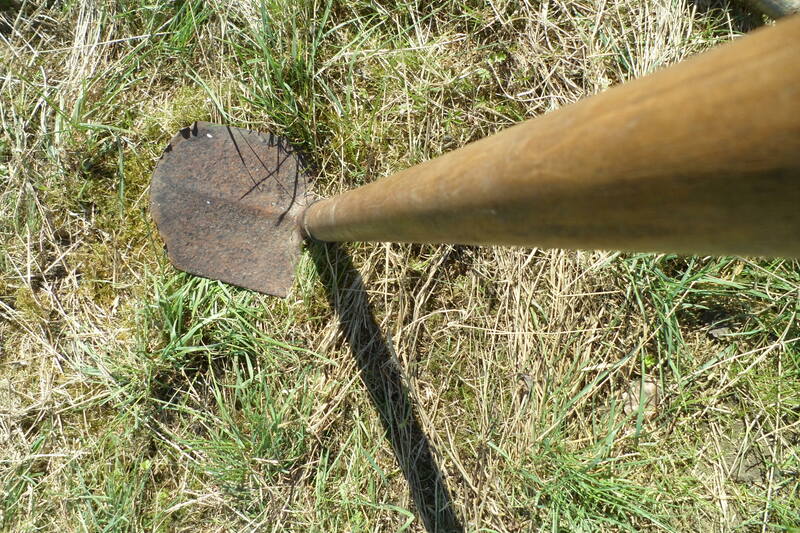 I usually use mine to clear the soil, but the heavy blade can cut through the clods fairly easily. My other tool is the Bicornis; again this dates back to at least the Romans and was used during the medieval period and is shown in many illustrations of the time. Unfortunately, the form that it is now most commonly seen in is an abomination. The tool that you will now find at the Garden Centre is a lightweight combination of both the bicornis and the mattock set on a single handle with the heads opposing each other. It is not any use at all unless the soil is already well cultivated, although this combination dates back several centuries. The Bicornis used at least since the roman period. My continually complaint is of the idea to put carpet down to smother weeds. A ghastly curse on whosoever publicly declared it to be a good idea. The soil that was uncovered broke down quickly into a friable surface. The covered soil remains slices of clay that refuses to form a tilth. 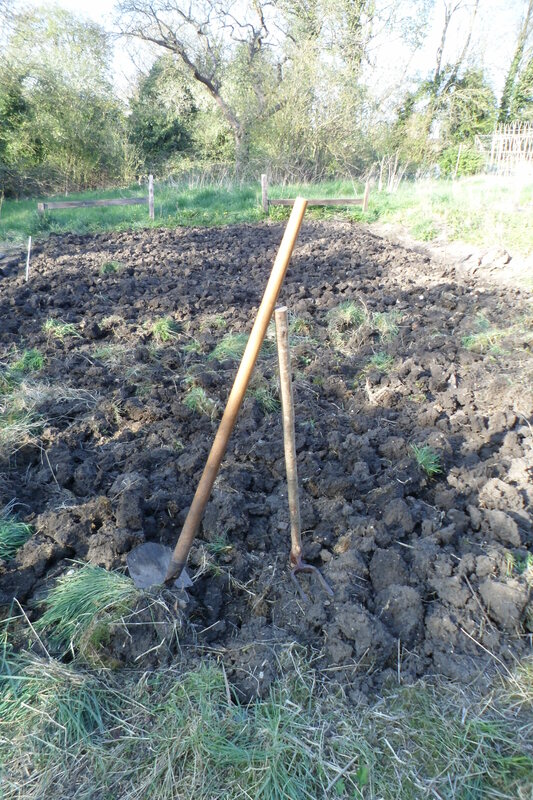 The next task is to try to rake the soil into a fine tilth. For once I would like a little light rain over the May Bank Holiday to soften the soil; preferably between ten at night and six in the morning…..